These bearings meet Military Standard MS 51961 The bearing outer ring should normally be a clearance fit when the housing is stationary relative to the load. When the housing rotates relative to the load, the tight transition fit is normally used. For oscillating applications, where low radical clearance may be important, consult the Rainbow engineering department for recommendation of mounting dimensions. 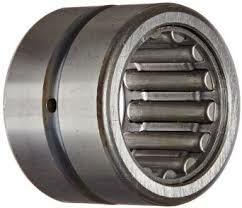 In this section we offer open and sealed HJ Heavy Duty Needle Roller Bearings, the sealed type bearings are identifiable as having a -2RS as a suffix. Please see the Heavy Duty Needle Bearing Inner Ring Section for the appropriate inner ring. Please see the for the appropriate inner ring. If you don't see what you're looking for please Contact Us.